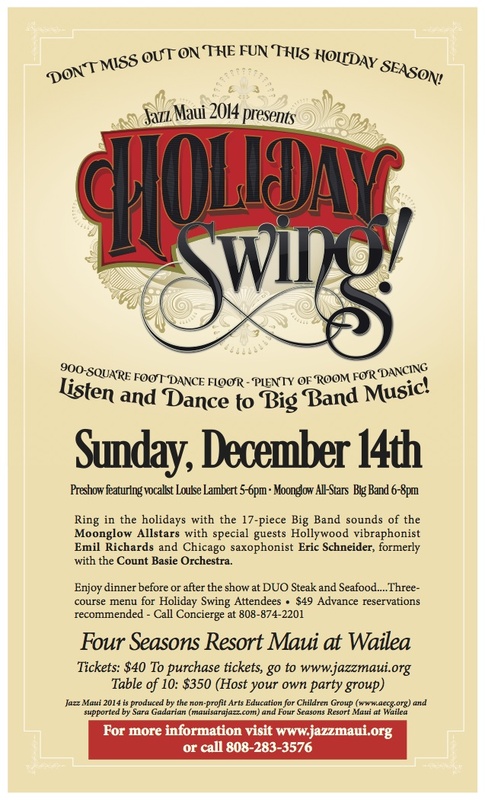 Jazz Maui 2014 presents “Holiday Swing” with the Big Band sounds of the Moonglow All-Stars featuring special guests vibraphonist Emil Richards and saxophonist Eric Schneider on Sunday, December 14 from 5-8pm at the Four Seasons Resort Maui at Wailea. 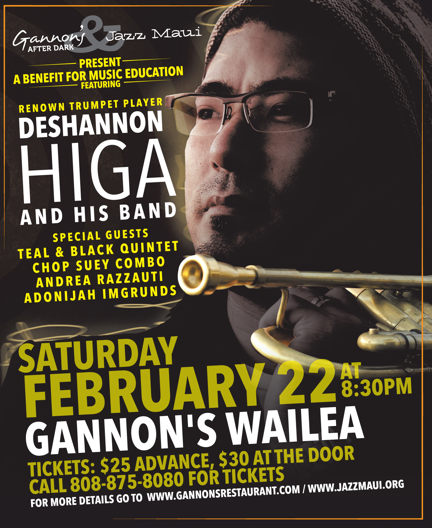 Tickets are $40 per person, $350 for a table of ten, and are available at www.jazzmaui.org or by calling (808) 283-3576. 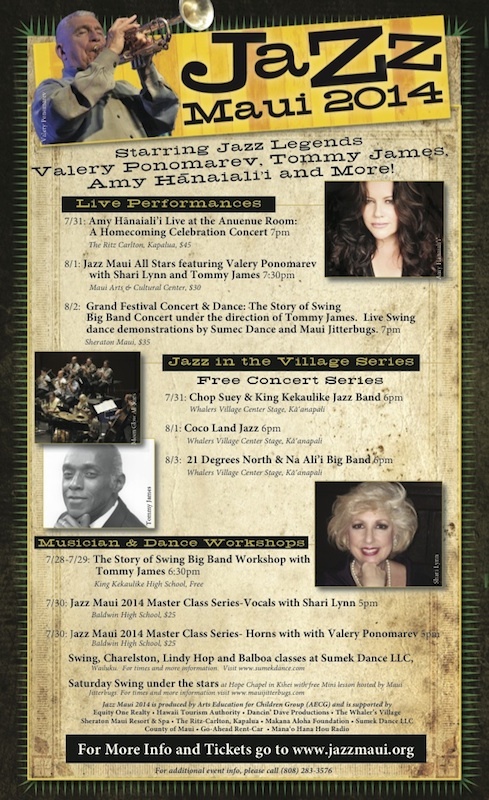 The 17-piece Moonglow All-Stars, under the direction of Lisa Owen,specialize in swing music of the 1940s and 50s. The music is geared for ballroom dancing and there is plenty of room to swing on the resort’s 900-foot dance floor. Vocalist Louise Lambert opens the show at 5pm and the entire band takes the stage at 6pm. In celebration of Jazz Maui, the Four Seasons Resort Maui at Wailea is offering a prix fixe dinner before or after the show at the poolside restaurant, DUO Steak and Seafood. The three-course menu for Holiday Swing attendees includes choice of appetizer (Baby Beet Salad or Crispy Tempura Short Ribs Steamed Buns); entrée (Flat Iron Steak or Seared Mahi Mahi); and, dessert (Warm Ono Farm Banana Toffee Pudding or Tahitian Vanilla Crème Brulee). The price is $49. 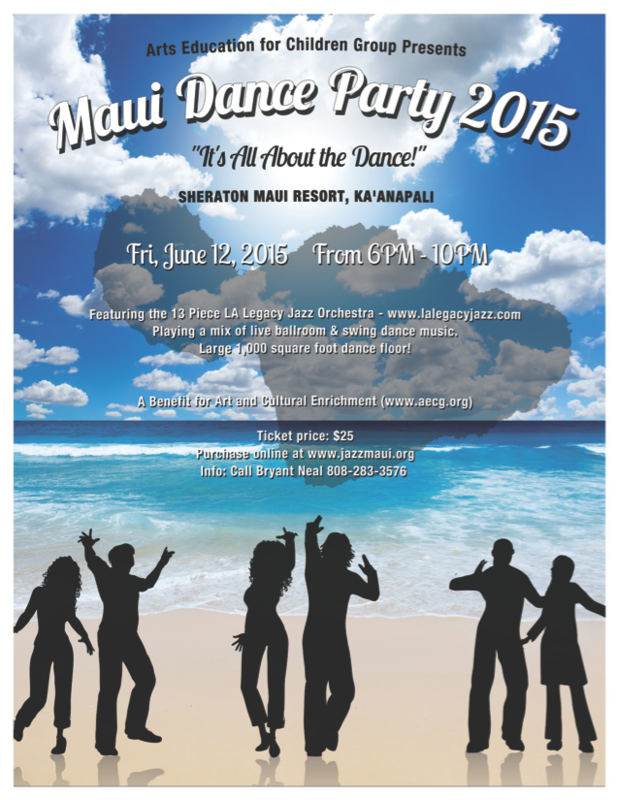 Advance reservations are recommended and may be made by calling the hotel’s concierge at 808-874-2201. (mauisaraJazz.com) and Four Seasons Resort Maui at Wailea. 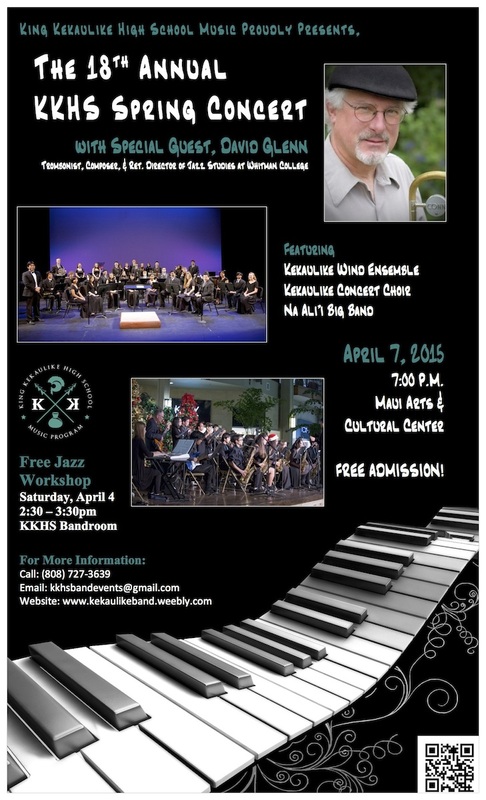 For more information, visit www.jazzmaui.org or call (808) 283-3576.